The Department of Human Settlements presented the Property Practitioners Bill to the Committee. The Deputy Minister was in attendance. The Department said that the primary purpose of this Bill is to repeal the Estate Agency Affairs Act of 1976 which would provide better control of estate agencies in the interest of the people or consumers. The current outdated legislation is over 40 years old and in dire need of replacement for many reasons. Over the years, the market has resulted in a paradigm shift with new role players who need to be regulated which is why the definition of a Property Practitioner was so long. Also, the Act is not in alignment with the Constitution and other current legislation. This Bill ensures that the legislation is in compliance with corporate governance as well. The main objectives of the Bill were to “transform the property market by ensuring it is a reflection of the South African demographic…, create alignment with the Constitution and other relevant pieces of legislation…, enhance corporate efficiency,” and professionalise the industry. Members asked questions about the requirements for practitioners to have a Trust Fund, and how practical this would be; the cost associated with audited financials for small practitioners; how the Bill would create alignment and synergy to the constitution and other legislations such as PAJA and CPA; why other races left were out, as stipulated in the presentation; whether the Fund would assist consumers that have been exploited by practitioners and provide some form of recourse; and how land prices were valued; where the research centre would be positioned in terms of provinces, as well as recourse for previously exploited consumers. The Committee Secretary informed the Committee that the Chairperson was absent and submitted her apology. The Committee Secretary advised that the Committee must elect an acting chairperson in her absence. Members voted for Ms L Zwane (ANC; KZN) to be the Acting Chairperson. The Acting Chairperson officially welcomed the Members, the present delegation, as well as the Deputy Minister. She submitted apologies from various Members and handed over to the Deputy Minister for her opening remarks to comment on the political stance on the Property Practitioners Bill. She submitted that the purpose of the meeting was that the Members would receive a briefing from the Department regarding the Bill, and noted that as a section 76 Bill it required input from provinces. Ms Zou Kota-Fredericks, Deputy Minister of Human Settlements, thanked the Members and the Chairperson for the warm welcome and compliments of the new season. The Deputy Minister stated that the Bill had already gone through the National Assembly (NA) and it is about the paradigm shift with respect to Estate Agents to align themselves with new pieces of legislations at the department of human settlements. It is also about aligning itself with the market conditions and at the moment there is a lack of disparity in the property market. In the beginning human settlement was not involved in the property market but only in the low cost housing, and the former was within the Dti. Therefore, the Department felt that it needed to respond to this by ensuring that the property market was aligned with industry, particularly as far as the bonds, loans and finance are concern. Legislation that will respond to this was needed and funders out there were also waiting for legislation like this. The previous legislation was not inclusive and the current one would ensure that there is alignment in the market. The Deputy Minister would engage with the Committee and ensure that all questions and concerns were responded to and Members were comfortable with the Bill. Mr Neville Chainee, DDG: Strategy and Planning, DHS, said that the property sector is valued at approximately R7 trillion and only 5% of that is in relation to black ownership. This translates to a requirement that transformation was required. Post 1994, a large percentage of what the Department has done has contributed to that R7 trillion, and R1.4 trillion was accounted for by the subsidised sector. Post 1994 the growth in the property sector reported at 1300%, so it is was important to note that post democracy there has been a significant amount of positive growth. For provincial public hearings, he assured the Members that the team would be at their disposal to provide any support that would be required during the public hearings. -and embark on a drive to professionalise the real estate industry. It deals with the definitions, objects, exemption from the Act, establishment of Property Practitioners Regulatory Authority and functions of the Authority. The Bill defines ‘‘property practitioner’’ to include everyone involved in the selling; purchasing; letting; renting; financing; managing and marketing of property but excluding any person contemplated in the definition of ‘‘financial institution’’ in section 1 of the Financial 39 Services Board Act, 1990 (Act No. 97 of 1990), and ‘‘managing agent’’ in terms of the Community Scheme Ombud Service Act, 2011 (Act No. 9 of 2011), and the Sectional Titles Schemes Management Act, 2011 (Act No. 8 of 2011). It deals with governance and structures of the Authority. The chapter provides for the composition and appointment of the Board; disqualification; dissolution; termination; management of conflict of interest; code of ethics; meetings; powers and duties of the members of the Board and Committees of the Board. It provides for the appointment of the Chief Executive Officer, staff of the Authority, management of conflict of interest of employees and delegations within the Authority. It provides for the transformation of property sector. It provides for compliance and enforcement measures. It provides for the appointment and powers and duties of inspectors to ensure compliance. It provides for the issuing of compliance notices by inspectors for non-compliance and fines as compensation. Inspectors are empowered to search premises and seize documents from property practitioners where there is non-compliance with the Act. Inspectors are empowered to issue compliance notices for non-compliance for a property practitioner to comply within a specific time. The Authority may determine a fine to be paid by the property practitioner concerned through a compliance notice. It provides for the procedure of lodging complaints for non-compliance. 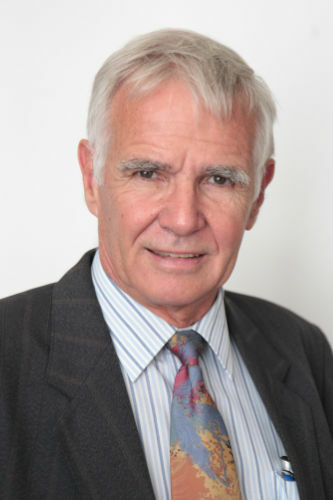 In compliance with the Constitutional Court judgment in the matter of Auction Alliance vs The Estate Agency Affairs Board, it was found to be unconstitutional for an inspector to seize documents without a search warrant and the provisions concerned have been drafted in alignment with this judgment. It provides for the funds of the Authority and the financial year and deposits of the Authority. It provides for the continuation of the Estate Agency Fidelity Fund under the new name ‘‘Property Practitioners Fidelity Fund’’. It provides for the management and control of the Fidelity Fund. It regulates the investment of monies and payment of funds from the Fidelity Fund. It regulates indemnity insurance and grants that may be authorised from the Fidelity Fund. It regulates exemption of the fund from insurance law. It regulates fees payable by property practitioners, application of insurance monies, cooperation by claimant, purpose of the fund, claims and actions against the Authority in respect of the fund. The Bill provides for the transfer of rights and remedies against a property practitioner to the Authority. It regulates the application for a Fidelity Fund Certificate and prohibits rendering services without a Fidelity Fund Certificate. It provides for the mandatory time periods for the issuing of Fidelity Fund Certificates. It provides for instances of disqualification to practice as a property practitioner. It sets out conditions for the amendment and withdrawal of a Fidelity Fund Certificate. It provides for mandatory display and communication of the status of a Fidelity Fund Certificate. It regulates the opening and keeping of trust accounts and obliges property practitioners to keep accounting records. It prohibits property practitioners from receiving remuneration in certain instances. It provides for mandatory indemnity insurance. It regulates instances of insolvency and liquidation of a property practitioner. It regulates the conduct and behaviour of property practitioners through the code of conduct; sanctionable conduct; prohibition of undesirable practices; measures concerning control and supervision of certain property practitioners. It provides for norms and standards in respect of advertising and marketing by a property practitioner. It prohibits payment of remuneration 40 prior to the transfer of the property. It also regulates franchising in the industry. It regulates consumer protection and provides for a mandatory disclosure form; language of agreements; consumer education and information. It deals with general matters which include promotion of property sector transformation; making of regulations; penalties; delegation of powers by the Minister; legal proceedings against the Authority; liquidation of Authority; use of name of Authority and transitional provisions. The Acting Chairperson thanked the team for the presentation and thanked the Department for this piece of legislation as it would assist consumers from being exploited in the property market. Ms Busisiwe Ndlangisa-Makhaula, ANC Chairperson of Human Settlements Committee in the Eastern Cape Provincial Legislature, appreciated the presentation and stated that she was excited about the consumer education programme because a lot of consumers are not aware of their rights in the houses that they acquire. This has always been an issue but she was happy that it would now be resolved. Ms M Moshodi (ANC; Free State) stated that the delegation only comprised of males and she would have loved to see a female official in the team. She then asked about the requirements for practitioners to have a Trust Fund, and how practical would it be in practise. Secondly, the cost associated with audited financials – is it not going to be a barrier for small practitioners? 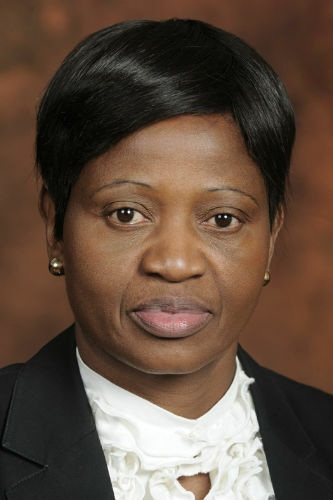 Ms T Mpambo-Sibhukhwane (DA; WC) said she was happy that the Bill was going to concentrate on transformation and dealing with the demographics of South African citizens but she wanted the presenter to unpack how the Bill would create alignment and synergy to the constitution and other legislations such as PAJA and the Consumer Protection Act (CPA). Secondly, on transformation, it was mentioned that the transformation would only concentrate on certain races; therefore, she wanted to know why other races left were out, as stipulated in the presentation, because South African legislation had to be inclusive. The Acting Chairperson said that the Bill brought a new dawn in the property sector and it would be of great advantage for those that have been left out of the benefits of the industry. However, she was uncertain whether adequate research was conducted regarding ensuring that black students were adequately encouraged to tap into this industry. Very few black students study this field; otherwise, it would be very difficult for the black community to tap into that market. She lamented that in most instances, especially in towns, one would find that certain rental spaces by government departments are always owned by certain races, except blacks. That is not empowering, because there are spaces in townships where departments can rent spaces, unfortunately the disadvantaged people do not reside in towns. With regards to the recourse that will be made available, would that also account for those that have been exploited before? Would the fund assist those consumers and ensure that they are compensated for the losses they incurred? She emphasised that consumer education needs to be intensified. With regards to unregistered property agents, it would be important to intensify consumer education to ensure that people do not get exploited. In addition, the pricing of property, particularly vacant land – how is it valued? Mr Chainee replied that transformation encompasses the entire issue because the previous Act was very limiting, and sector/industry biased. When consumers are all better educated, informed and advised, it makes things a lot easier and better. Hence, there is the issue around the question of the Transformation Fund. If the Department seeks to achieve these things, that is an issue that must be taken seriously. On the Fidelity Fund, this speaks to the consumers that have been exploited in the market to be able to claim for restitution. All consumers that have been exploited by practitioners would be able to claim for recourse. On unregistered agents, the Department needs to look into why these things continued happening. The high cost of compliance could be one of the reasons why people retracted from complying with legislation and register as agents. This must be dealt with. The Deputy Minister said with regards to consumer education, this needs to be tightened up and practitioners must be forced to carry this out with their consumers. A house is an asset if only the consumer understands that it is an asset; hence, consumer education is an important component of this Bill. It is also important for new entrants in the practitioner’s space. There is a one-estate-agent-one-learner programme which focuses on training young people on the estate agency market – this will ensure that young people are involved. Transformation should be inclusive and all demographics should be taken into account, and they are equally important. Consumers that have been exploited should be assisted to have some form of recourse; hence the Fidelity Fund. Mr Ngwenya responded to the question on the Trust Account and said that it is one of the barriers to entry – the requirement that practitioners must hold a Trust Account. So in addressing this matter, the Department - through the Bill - has made provision for an exemption for those that cannot afford a Trust Account. And the legislation will be clear on what processes need to be followed when applying for an exemption. In addition, the matter of the audited annual financial statements is another form of barriers to entry, and as opposed to submitting audited financial statements; practitioners can submit only their financial statements when it is required without being audited. Then the Department would set aside auditors that can assist them. With regards to the alignment of legislation with PAJA and CPA, the Department was dealing with a 1976 piece of legislation which has never been repealed and it was now being repealed for the first time. Over the period of time, there has been progressive legislations developed which provide for certain requirements for administrative decisions. The Act is a progressive piece of legislation post democracy and it is aligned with all the transformative pieces of legislation. The Acting Chairperson wanted to know where the property research centre would be positioned in relation to provinces. Secondly, she wanted to know whether the legislation would be able to provide protection for consumers that have been exploited in terms of the value of their properties. Mr Ngwenya responded that the Department was advised by professors from Nelson Mandela Metropolitan University and Walter Sisulu University to place the research centre in a higher learning institution due to access to research and young people. In that context it would also be easily monitored in terms progress. The concentration should not be limited to the market space but stretch as far as industries. The Acting Chairperson thanked the Members, the Department and the Deputy Minister for the inputs. She submitted that the Committee did not meet its quorum; therefore, the minutes and Annual Report would be considered and adopted in the next meeting.